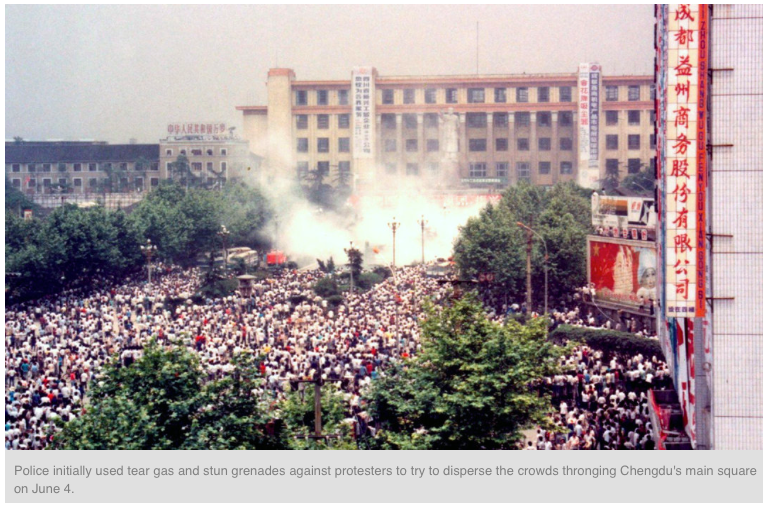 “What happened in Chengdu 25 years ago matters enough that the local government continues to devote financial and human resources to muzzling Tang. 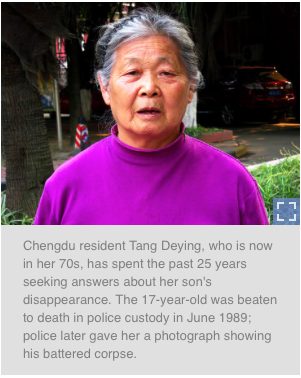 Her treatment shows how scared the Chinese authorities are of their own recent history. 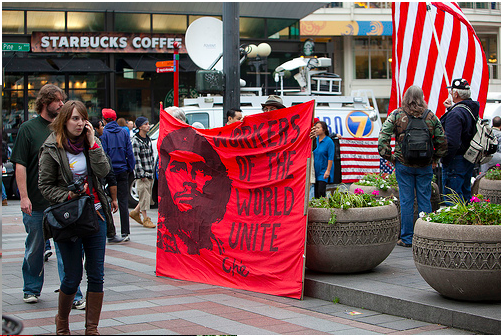 “A quarter-century ago, the government used guns and batons to suppress its own people. Now it is deploying more sophisticated tools of control — censorship of the media and the falsification of its own history — to build patriotism and create a national identity. 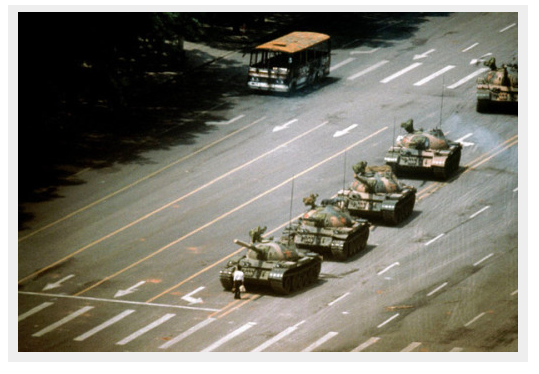 “Though China’s citizens have become undeniably richer and freer in the post-Tiananmen era, Tang Deying’s experience shows the limits to that freedom. Simply by keeping alive a memory that others have suppressed or simply forgotten, Tang has become seen as a threat to social stability.